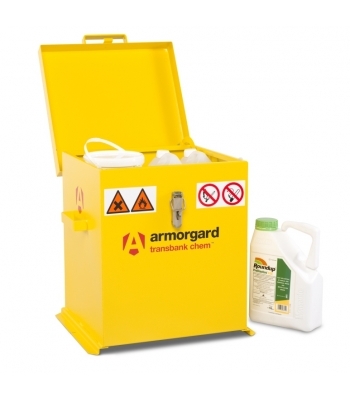 TransBank Chemical Transit Box. 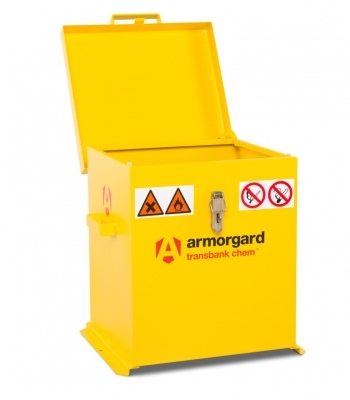 Designed specifically for storing ot transporting smaller quantites of chemicals, Fully complies with all regulations. 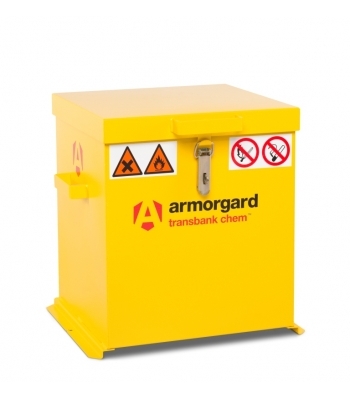 Flame arrester gauze fitted as standard, Overcentre catch with padlock facility, Fully welded and tested sump base to prevent leakage, Finished in bright yellow with relevant chemical warning signs, Built to a specification for 30 minute fire resistant, Pre-drilled holes for bolting down so as to secure the unit in a fixed location or in the back of a vehicle.